Copyright: You agree to allow Coolamon Shire Council to reproduce these images for future promotional purposes including, but not limited to, media releases, Coolamon Shire Tourism and Business Website, Facebook pages, brochures etc. Who can enter: Open to all photographers, worldwide. Images must be taken within the Coolamon Shire with the aim to showcase the local region. $1000 Clare Stevens Prize awarded to the image judged ‘Best in Competition’ by our panel of judges. Exhibition at the Up To Date Store from the 1st-15th November, 2013. Entries must be submitted as an 8”x12” enlargement print on photographic paper with no white border. A digital copy of each entry must also be submitted (300DPI and JPEG format). 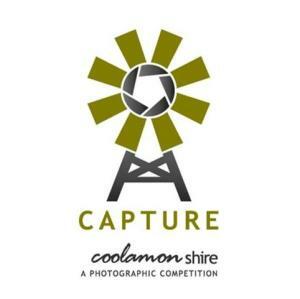 Entries are to be submitted to the Coolamon Shire Library by 11th October 2013 or posted to: Capture Coolamon Shire Photography Competition, PO BOX, 101 Coolamon NSW 2701.